Nickelodeon – India’s leading entertainment franchise returns with the Indian chapter of its International property – Together for Good, with a campaign titled, “Pressure ko bolo bye”. Together for Good with its global pro socio initiative believes that each child deserves a safe, confident and better environment and with this year’s campaign, the brand will not only create awareness of pressure amongst children but also appeal to the gatekeepers of child safety. This year, Nickelodeon puts up a fight against ‘pressure and anxiety amongst children’, in partnership with Early Childhood Association. 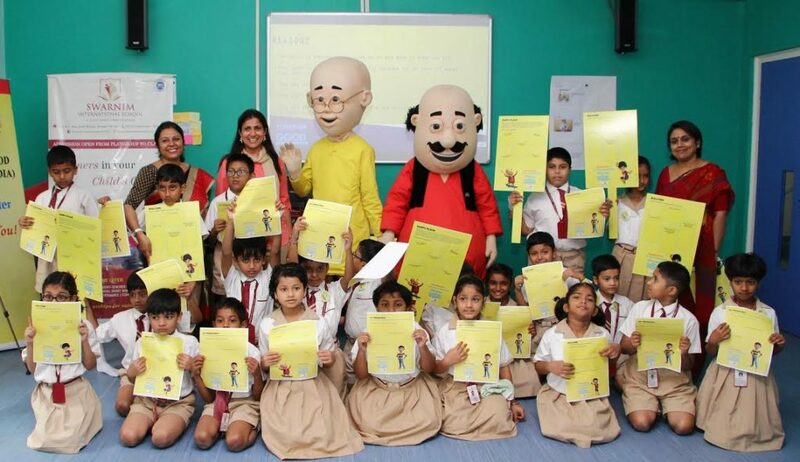 To start this initiative, India’s favorite Nicktoons Motu Patlu visited Kolkata at Swarnim International School on 9th April 2019. The brand started the extensive awareness-drive at the school with a two-fold module to discuss four topics – Mindfulness, Exam Stress, Peer Pressure, and Bullying. The first fold of the module for kids was exclusively designed with fun and interactive group activities with Nicktoons that stir changes and motivate children. The second fold comprised of seminars for parents and teachers to help understand the negative changes and symptoms in children and equip them to offer help. Quirky Certificates were given to students, teachers, and parents who attended the sessions. With this initiative, we hope to create awareness for gatekeepers on mental health amongst kids and teach children the coping mechanisms for various pressures. The partnership with Early Childhood Association will further facilitate behavioral change with its advanced programmes which will help kids understand and combat the undescriptive challenges of worry, stress, peer pressure and bullying.